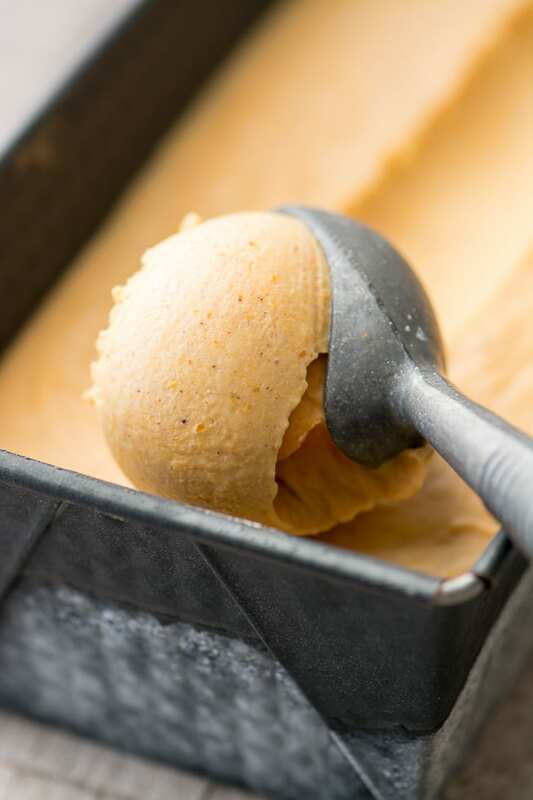 No Churn Pumpkin Spice Ice Cream is a super quick and easy homemade ice cream that requires no heavy machinery, and tastes just like your favorite pie! Most people are set in their ways when it comes to holiday dessert preferences…you’re either on team pumpkin or team pecan, with or without ice cream, and it’s all pretty cut and dried. But every once in a while something new comes along to mix things up. 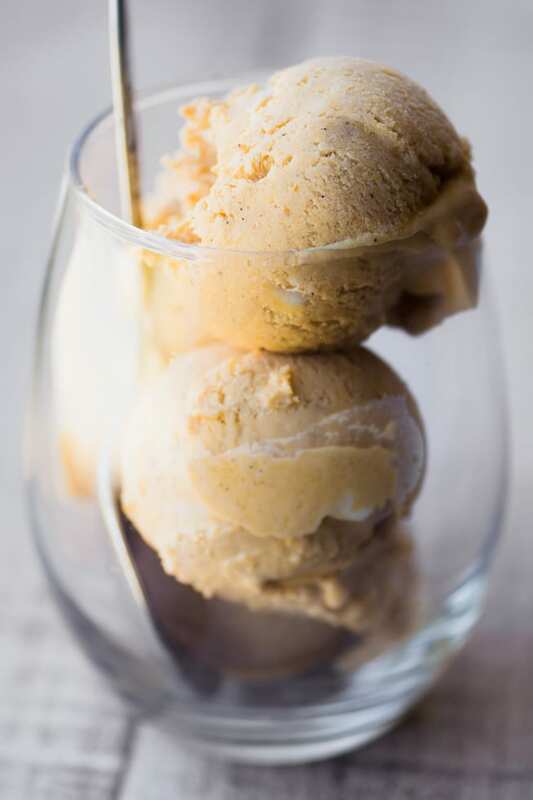 Like this No Churn Pumpkin Spice Ice Cream — you know when you get a plate of pumpkin pie à la mode and the ice cream starts to melt after a few bites and all the flavors mingle together into one luscious, messy, delicious mouthful? Now you’ve got the idea. This recipe uses an entire can of pumpkin puree and a hefty dose of spice for a spot-on pumpkin pie flavor. TIP: Freezing can dull flavor and sweetness, so when I make ice cream I take that into consideration and bump up the flavoring to compensate. 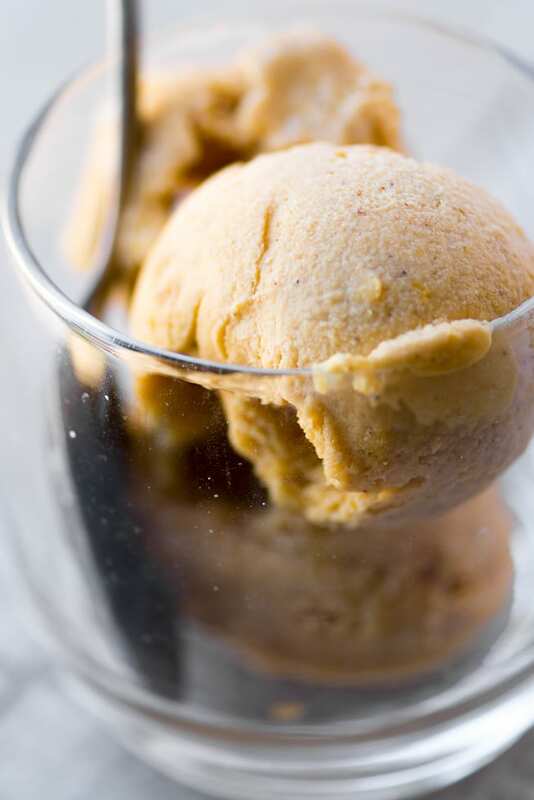 My original Pumpkin Pie Ice Cream is made the traditional way, with an ice cream machine. It has been incredibly popular, I think because it really does taste exactly like the best pumpkin pie you’ve ever had, and because you just can’t buy anything like it in stores. 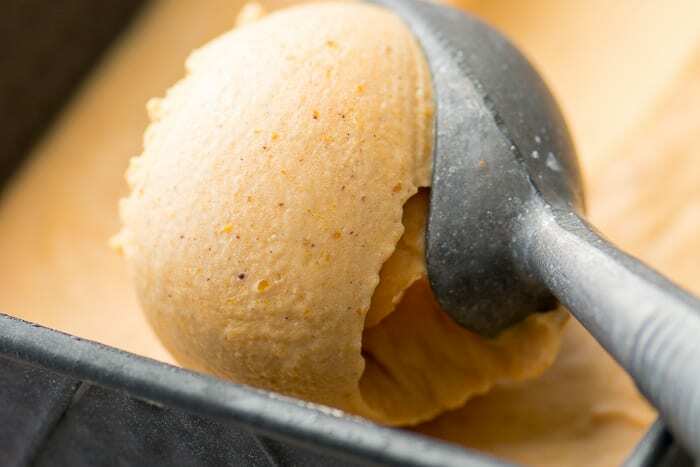 This no churn pumpkin pie ice cream is for all of you who haven’t invested in an ice cream machine yet. TIP: One of the techniques for making no-churn ice cream is to whip the heavy cream first, so the air is already incorporated into the ice cream mixture before you freeze it. By whipping the cream you’re basically mimicking what the machine does. I like to use individual spices rather than a generic pumpkin pie spice. And I always buy my spices in the smallest jars I can find so they won’t go stale sitting in the cupboard for too long. 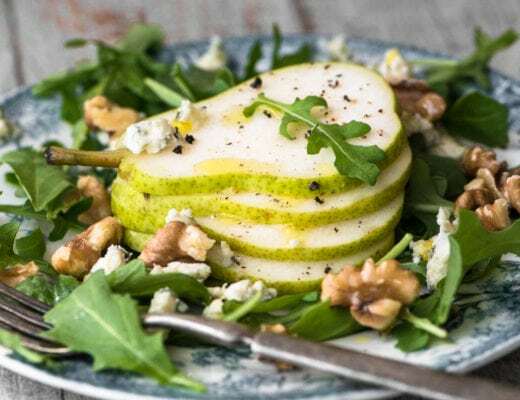 I ALWAYS grate my nutmeg fresh and I can’t recommend it enough, the flavor is incredible and I think it really does make a big difference. My brother in law gave me a nutmeg grinder many years ago and it’s one of my most treasured kitchen tools. One of my favorite ways to flavor ice cream is with spice, and that happens to be perfect for the fall and holiday season. I’ve made Cardamom Ice Cream and Nutmeg Ice Cream, so if you’re intrigued by the idea, check them out. 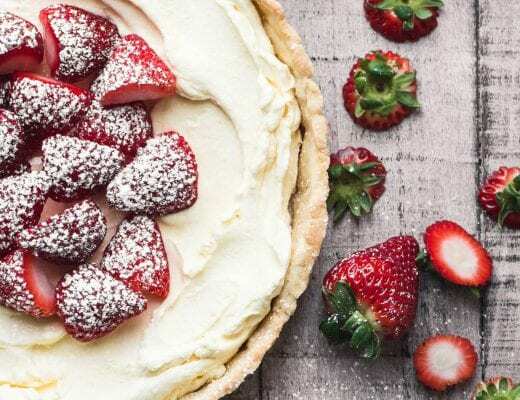 You can do this in a food processor fitted with the metal blade, or a stand mixer fitted with the whisk attachment, or by hand with electric beaters. I used my food processor because it's lightning fast. Whatever method you choose, whip the cream until it has stiff peaks. Be careful and don't whip it too much or it will turn to butter. Beat in the rest of the ingredients, just until everything is blended. You can finish with a spoon, just to make sure all the spices and pumpkin have been blended in. Don't over do this, you want to retain as much of that air you've whipped into the cream as possible. Spread the mixture into a metal loaf pan or whatever container you like. Cover and put in the freezer for at least 8 hours or overnight until firm and scoopable. A metal loaf pan is ideal for chilling homemade ice cream because it allows the mixture to chill faster and gives you a long surface area to scoop from. 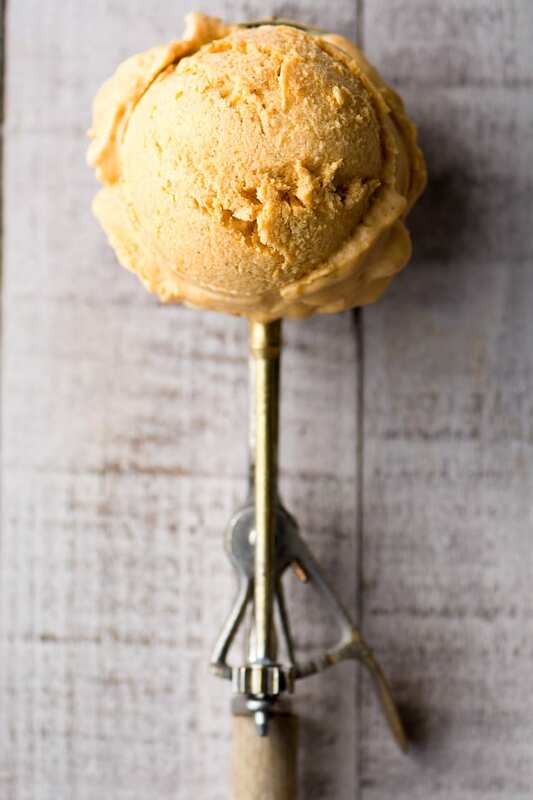 don’t forget to pin this No Churn Pumpkin Spice Ice Cream! Thank you so much for this recipe! It is delicious! I have ALS and I can’t eat anything except ice cream. I loved pumpkin pie so much that as a kid I always wanted pumpkin pie instead of cake every birthday. Now I can have it again! So thank you! I’m thrilled that this works so well for you Lisa ~ and it’s the perfect time of year for it! mmmm that looks so good and so creamy. We really don’t do the whole pumpkin pie thing here in the UK but I love these flavours and spices so i’m going in for this one! You had me at pumpkin pie. 2 scoops, please! Love your new profile photo, Sue. You look great! This ice cream looks amazing and I’m sure it will be a big hit for Thanksgiving for you guys. I’m going to test it on my family up here cos they are all pumpkin nuts! You are so creative! Just wondering: do you recommend a regular size loaf pan, i.e., 9 x 5″? It seems like a lot of volume to fit in such a small pan? Thanks! PS Your ice cream looks GREAT – and I’m not even a big fan of pumpkin! This will fit in most loaf pans, Cindy, I used a long skinny one, but there are so many sizes it’s hard to keep track of them all! This makes a little bit larger amount than most of my ice cream recipes but I think it will fit in a regular sized loaf pan. The color is gorgeous and the pics too! I wish I had made this today! I have company coming tomorrow and it would be perfect. 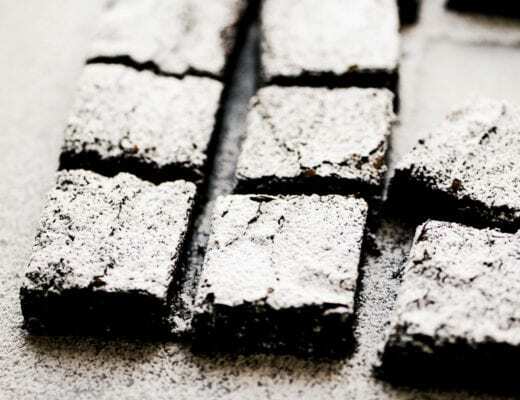 Now I have to go to the store again :) Lovely recipe – pinning and drooling! Yum, yum delicious! Did you change your profile photo? Love it! That’s a neat nutmeg grinder! And LOVE no-churn ice cream. We’ve done pumpkin before — tastes wonderful, doesn’t it? Your recipe looks great — thanks! 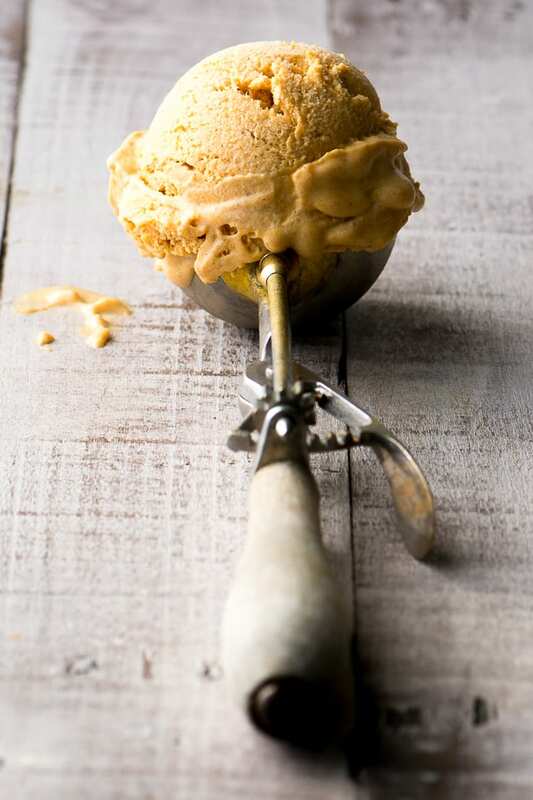 Have never had a pumpkin pie ice cream…now I am really tempted to give this a go! It looks super creamy and delicious, Sue.